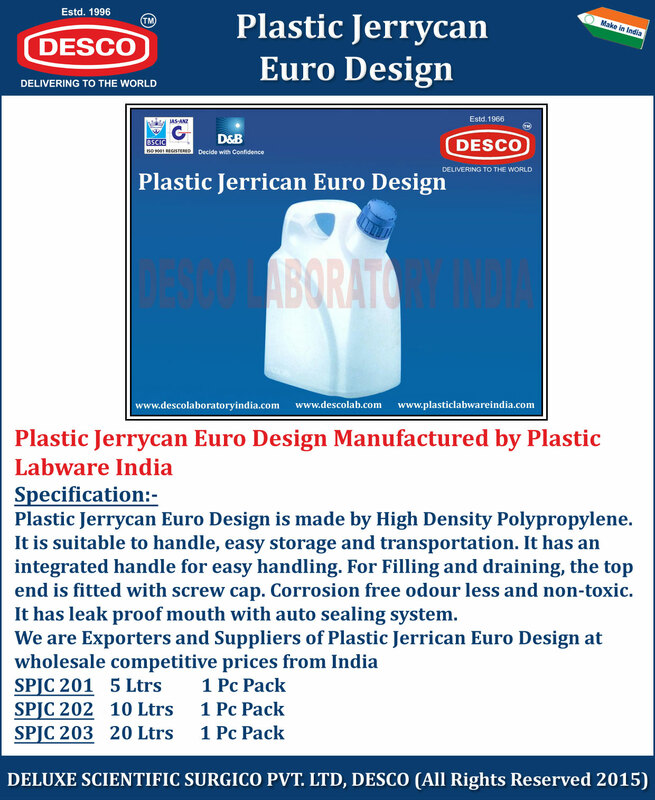 Plastic Jerrycan Euro Design is made by High Density Polypropylene. It is suitable to handle, easy storage and transportation. It has an integrated handle for easy handling. For Filling and draining, the top end is fitted with screw cap. Corrosion free odour less and non-toxic. It has leak proof mouth with auto sealing system.